Cariol Horne is a sad but perfect example that not even the status of a police officer can protect a Black woman and a “good” cop. 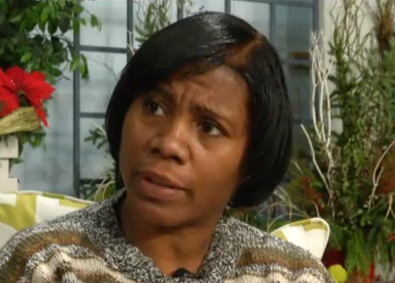 In 2006 former Police Officer Cariol Horne witnessed a colleague Officer Kwiatkowski attack a handcuffed suspect. Acting quickly, Cariol intervened and was punched in the face by the officer. To Cariol’s dismay, in retaliation to her report, the department terminated her without pension and acknowledgment of her 19 year service. In an age where we, the public, are able to see the blatant, violent, racist, and discriminatory regard police have for us (all of the time) it is equally difficult to imagine what Cariol must be experiencing as a black woman officer who did what she was supposed to do. Honorable acts are hard to come by and black women representation on the police force is even harder. Cariol Horne’s termination and Officer Kwiatkowski retirement adds to the exasperated voices we hear in our youth, public figures, and cries of “I can’t breathe’ and “Black Lives Matter.” In truth, Cariol’s experience perpetuates the reality that white men in power will always be protected and black women will always be neglected. Cariol Horne has made multiple attempts at appealing the decision to deny her pension per her termination and has made no avail. It seems that black women will be cheated even when we are a part of a community that claims to protect and serve.